It’s been a long time since I posted a blog post. I couldn’t spend time on this as I had to focus on academics and PayUOC too. Never mind. 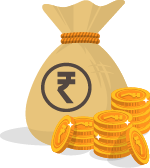 I have started writing blog posts again with this income report. Some important updates to look at. I had to shut down both these subdomains because I don’t get any traffic over there and they consume storage in my hosting. As a part of cleaning my hosting, I shut them down on October 10, 2018. Why did I have these two blogs for so long? These two blogs just depicted my interests for sharing quotes and science-related articles. But, I realized that my major interest is only towards writing about blogging, affiliate marketing, etc. So, I decided to focus only on this. Now, let’s look at an opportunity to monetize your blog. For website owners, it is not only an opportunity to get new content, but also a source of income. But, how can website owners earn with guest posts? Have you heard about paid guest posts? You might be aware that it is free of cost to submit your guest post to OnlineRockersHub. But, not all websites are free to submit a guest post. Some bloggers charge for accepting guest articles on their website. Could you imagine it is still a win-win situation for both advertisers and website owners? Because the advertiser gets a dofollow backlink and the website owner has generated a revenue out of his website. But, how to find advertisers for your guest post? Adsy is a platform that will help you find advertisers for your paid guest post opportunities. Joining at Adsy is completely free. So, why are you still waiting for? Next comes my learning part. 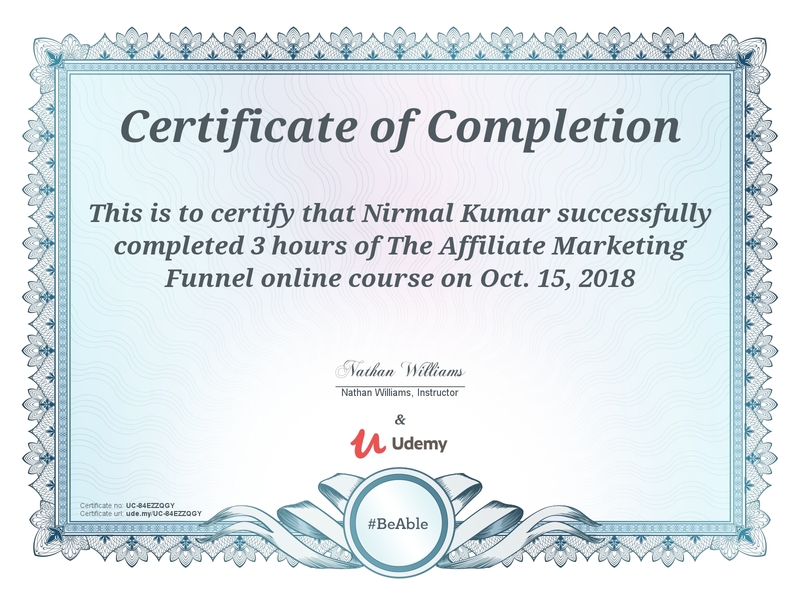 Recently, I completed a Udemy course, “The Affiliate Marketing Funnel” by Nathan Williams. This is a free Udemy course. So, you can also enroll in this course. This course isn’t a complete affiliate marketing package from basics. Instead, it gives you a blueprint on where to get your targeted visitors for affiliate marketing and how to create an affiliate funnel to sell your affiliate product. Looks useful right. I have got more free Udemy courses for you. The following are some free Udemy Courses for you. These courses are free only for a limited period of time. So enroll them as early as possible. Once enrolled you can start the course whenever you wish. Meditation in Motion: Move Your Body. Relax Your Mind. Do let me know in the comments section if you find these courses useful. Next, let’s move on to the traffic reports. The screenshot below is the audience overview of OnlineRockersHub for October 2018. The traffic remains stable just like every other month. Next, we will see where does the traffic come from? It is interesting to note the major traffic is coming from Medium. 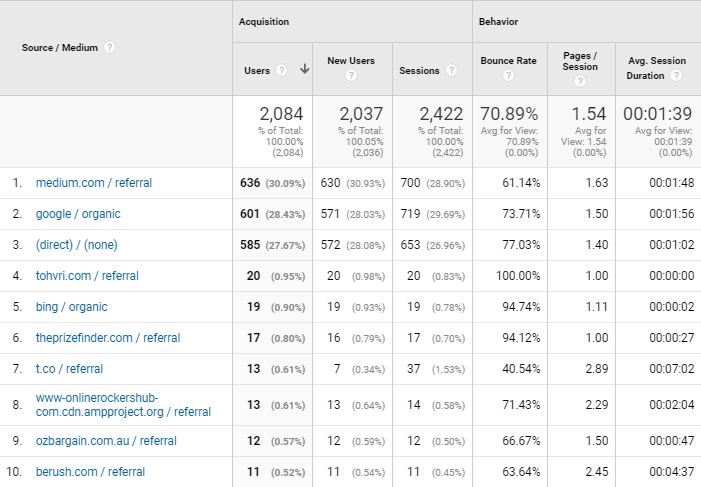 This traffic contributes more than organic traffic. But, what do I do at Medium? I just reshare all my existing articles at Medium to promote the current blog post. One of those articles at Medium has got a good ranking at a search engine and that’s why I am getting more traffic here. Then follow @onlinerockershub to read my posts at Medium. 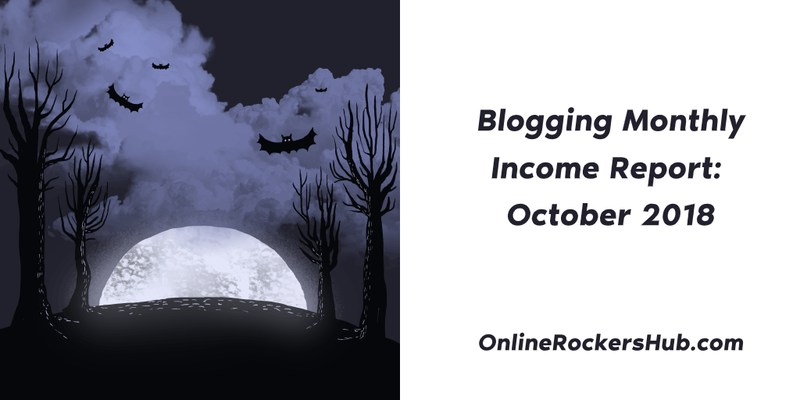 Next, we will see the blogging income and expense for October 2018. First, we will look at the income and then we will take a look at the expense. Income and Expense look normal during this period. But, I wish the income gets boosted up. Coming to my coupons and deals site – PayUOC. I have been working hard for quite some time with this site to improve the user experience and to boost the SEO. If you feel you need this particular feature at PayUOC, then do let me know your constructive feedback in the comments section. See you in the next income report.